At the 7th European Innovation Summit (7-10 December) in which EURACTIV was a media partner, EU stakeholders tried to seek ways to fill the innovation gap the EU is currently facing. The rising demand for agricultural products, combined with the need to protect the environment, has put pressure on the EU executive to find “innovative” ways in the farming sector. Several stakeholders claim that introducing new technologies in EU farming would help the sector address this challenge. Precision farming is based on the optimized management of inputs in a field according to actual crop needs. It involves data-based technologies, including satellite positioning systems like GPS, remote sensing, and the Internet, to manage crops and reduce the use of fertilizers, pesticides and water. Based on the need to “produce more with less”, precision farming is emerging as an innovation-driven solution and the introduction of the new technologies helps farmers to manage their farms in a sustainable way taking into account the “slightest detail” of everyday farming. According to data provided by the European Agricultural Machinery (CEMA), in Europe, there are 450 new machinery types which employ 135,000 people directly, and 125,000 via distribution and service networks. >>Read the Infographic: Can innovation feed the world? Under the new Common Agricultural Policy for the 2014-2020 period, financial incentives, and support schemes exist under Pillar 2 to promote farmers’ ability to invest in Precision Farming technologies such as, for example, precision fertilizer spreaders. Speaking at the summit, Iman Boot, deputy head of Unit in the DG Agriculture and Rural Development, said that despite current difficulties, EU farming has great opportunities. “We have tremendous challenges in agriculture clearly […] but we have some good ground for optimism. We have fantastic opportunities as well,” Boot noted. “One opportunity is the promise of precision farming, which offers enormous possibilities to increase our productivity in order to produce more with less input,” he underlined, adding that technology-driven practices have already been developed in the EU. He added, though, that there are some market barriers which block a further development. “However, it’s up to the member states to decide what to invest in detail,” he added. For the executive, EU farming already has the tools to ensure fairer prices by using innovative methods. A Commission official noted that there were millions of farmers, but very few supermarkets. “There are signals at the moment that in big cities you see supermarkets losing their high demand, because you get new suppliers/farmers coming […] who start providing food directly at your home,” he said, adding that this is made possible by ICT applications. Precision farming is based on the optimized management of inputs in a field according to actual crop needs. It involves data-based technologies, including satellite positioning systems like GPS, remote sensing and the Internet, to manage crops and reduce the use of fertilizers, pesticides and water. Precision farmers are able to make the best use of chemical inputs (pesticides or fertilizers), contributing to soil and groundwater protection while increasing production efficiency. The quality of products is improved and energy consumption reduced significantly. This is in contrast with the traditional practices in which various agricultural activities such as irrigation, fertilizers, insecticides, and herbicides are uniformly applied throughout the field, ignoring any variability. 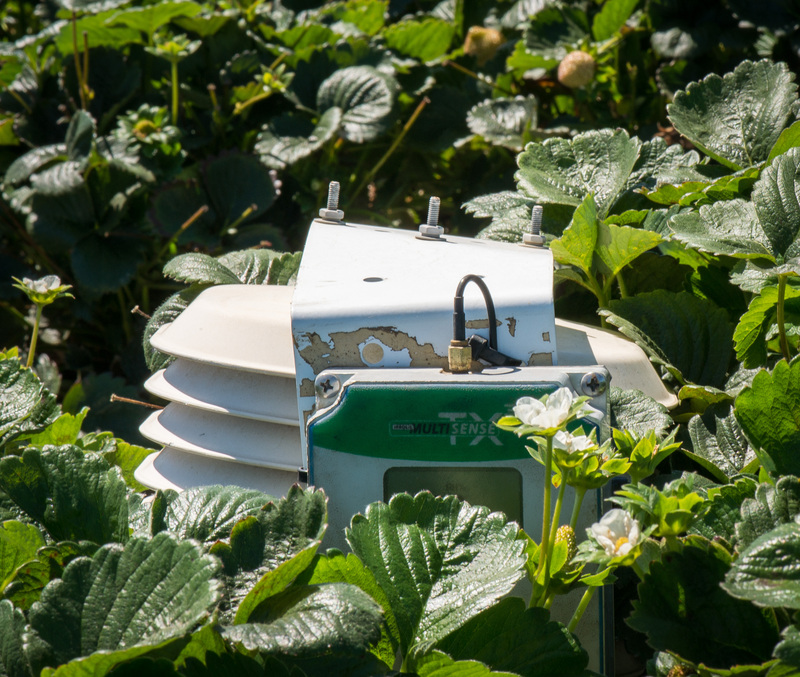 European Commission: Precision agriculture: an opportunity for EU farmers? Is this an indication that TTIP should be adopted and Monsanto given a free rein , or that farming should be collectivized run by corporations ? Regular farmers don’t farm with scientific precision . Is Europe missing the butter and cheese mountains ? What are we short of in terms of agricultural products or food ? As I recall the EU pays farmers to leave fields fallow , not to overproduce ! Perhaps farmers are now wanted to grow crops to create biofuels . Just what the EU needs, more agriculture products they can’t sell with sanctions still in place. Where do these half baked people come from? If Europe has better practices than other places then why not? We cannot close the boarders, at least not without thinking of Orwel’s 1984. “precision farming, which offers enormous possibilities to increase our productivity in order to produce more with less input” – or produce the same with less input – drones are playing a very useful role in France (for example), where they are used to identify locations in a given field where more (or less) fertiliser is needed, GPS in the cab allows fertilizer application on the basis of where it is needed to a resolution of a few meters. Drone surveys thus save farmers money. What is not to like? What is there not to like? The initial cost of the equipment and maintenance for starters. There are a growing number of companies that provide drone surveys targetd at French farmers (for example). The cost of the service is more than coverd in the reduction in fertilizer use/improvement in yeilds – no equipment needs to be purchased. Firstly , does Europe need a greater output of agricultural products , what are we short of that scientific precision would improve ? Increasing productivity implies there are markets that could be filled . As I am aware , there are products grown in excess that have had to be dumped , either for lack of a market or for flooding the market at an uneconomically low price . When you write of drones being used in France , by whom , not the ordinary subsidized French farmer , surely big corporate farms . The cost of owning or hiring drones will surely match or exceed the saving or additional production achieved . From the above illustration , one might benefit in horticulture . As a countryman myself who has also farmed , I am well aware that the EU is paying farmers not to grow crops , to leave fields fallow to prevent overproduction . One could argue that we could be growing crops to feed the starving masses in Africa . We cannot send them dairy products and we do not grow Millet that is important to their diet . In contrast to this article and argument , I would recommend readers and commenters of this article to read another on this same page . Mr Barneby, in contrast of what you say trasport and energy production is the biggest polluter and your comments are highly appreciated by them, as you distract the public attention. Especially in the Wake of the WV scandal that made all the calculations, and articles like the one you suggest, redundant in their findings. It is important to notice that even during the period before COP21, in smugs and media, you could only hear about agriculture. Mr Barnaby: yep – ordinary french farmers – use the services of drone operators who specialise in providing this serivce – which as I have already noted – is highly cost effective. While agriculture is restructuring, see less farms-equal famed land, we keep asking if technology is good. Of course it can be good, if it can be applied at all scales and farming models. The US has had a bad experience with big data, and here in Europe we lack the legislation and an inclusive dilogue of the relative stakeholders.